Dr. Anderson offers his patented, non-surgical spinal decompression therapy alternative for the treatment of herniated discs and pinched nerves as well as for conditions and injuries that have caused certain areas of your spine to compress. Non-surgical spinal decompression is often referred to as manual traction or spinal decompression therapy. This treatment increases the spaces between the vertebrae in order to give herniated discs more room to retract into their proper positions. 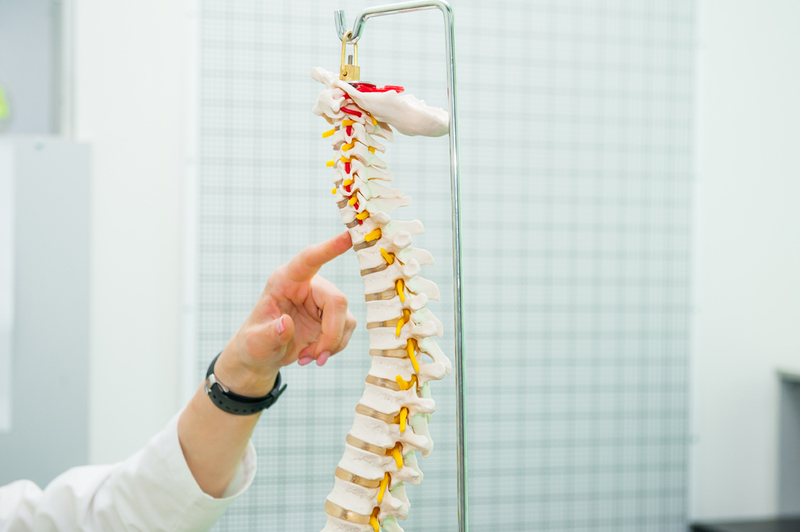 If you have a pinched nerve, spinal decompression therapy can help alleviate the pressure on that nerve to reduce your pain. For most individuals who need a hands-on, targeted approach, the Vertebral Distraction Pump (VDP) offers many benefits. The Vertebral Distraction Pump is a handheld device that contains four rubber-tipped legs. The legs are placed over the vertebra to be adjusted. Then, our chiropractor depresses the handle, which separates the legs in opposite directions. This action helps separate the vertebrae so that the herniated or bulging disc can retract and heal. There are two VDP devices. The first device has legs that are close together. This VDP device is used on the neck vertebrae and upper back. The second VDP device has legs that are further apart. This device is used on the middle and lower back. Our spinal decompression chiropractor always performs a complete physical evaluation that may include taking digital images of your spine. This helps our chiropractor get a complete view of the condition of your spine and your injuries so that your spinal decompression treatment program is tailored to your short and long-term health goals. Once the severity and locations of your injuries are known, our chiropractor will recommend a treatment program that may involve multiple techniques and strategies. To schedule an appointment with Dr. Anderson, contact us at (916) 485-5433.